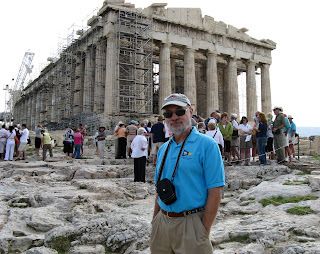 I left the Aegean Adventure post in the middle of our trip, with a promise to cover our remaining days in the Greek Islands, Dubrovnik, and, finally, Athens. 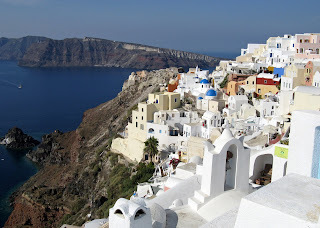 Today, southern Florida is in its 10th day of temperatures near freezing at night, a record, and, so, what better time to recall the warmth of the Aegean Sea? 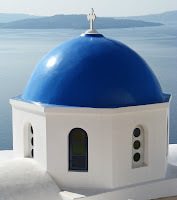 The Greek Islands in particular were stunning in their beauty, the timelessness of its towns meeting the sea, the ubiquity of its churches juxtaposed to medieval walls, evidence of conflicts of previous civilizations. In Croatia, the walled city of Dubrovnik shows not only the mark of ancient wars, but the recent flack scars of the Serbian siege of 1991 as well. 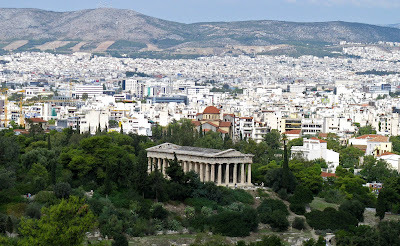 And Athens, understandably mobbed with tourists such as us, majestically marks the foundation of Greek civilization. Searching for a leitmotif in this experience, I cannot help think of the scores of generations that have come and gone on these ancient lands, the lives, and the births and deaths of an endless parade of now anonymous individuals as well as the notables marked by stone monuments. 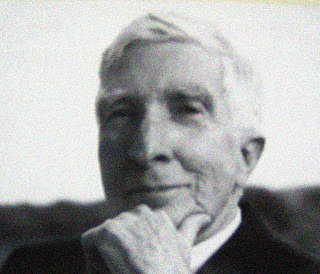 I mentioned that while we were touring, I was reading John Updike’s Self Consciousness, the closest he ever came to writing an autobiography. There are so many passages that I underscored in the book, ones I will want to return to, I ended up noting as much as I failed to note. But some of his writings on religion and mortality as well as the craft of writing, struck a particularly sensitive cord with me while visiting these places, the evidence of civilizations we saw, so I am going to defer to Updike and allow his words to resonate at the end of this post, while some of my photographs offer their own viewpoint. 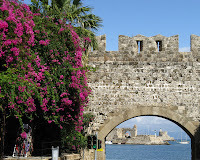 One of the Seven Wonders of the Ancient World, the Colossus of Rhodes, once bestrode the harbor of Rhodes. 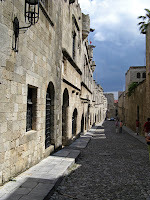 We visited the old town that is contained within its medieval walls. Delos, a small rocky island, but to the Greeks a sacred place as Apollo and Artermis were said to be born there. 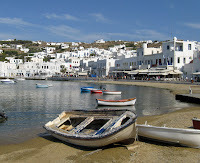 Mykonos is one of those picture post card islands whose Cycladic architecture and narrow streets makes every turn a photo-op. A young woman even wanted to show off how she filled out her bathing suit in a doorway, and was eager to pose. Olympia, the site of the ancient Greek Games, is a sanctuary associated with the games and the worship of the Greek Gods. To stand on the remaining site of the stadium where the events were held, is awe-inspiring. 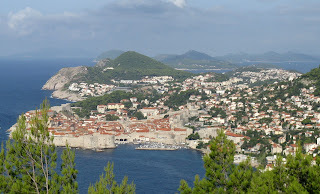 We loved Dubrovnik, Croatia. Our wine steward aboard the ship was Croatian so we had already felt a deep affection for the long suffering of the Croatian people and their city, which has been a focal point of conflict and conquering forces. In Crete we bused to the Lassithi Plateau and toured its ancient windmills, returning to the city of Aghios Nikolaos on the islands eastern side. Walking up the steps to the Acropolis with thousands of other tourists, the city of Athens below, made me think of the march of civilization and the inconsequentiality of our own steps in this procession.